Discussion in '2015+ Alienware 13 / 15 / 17' started by etern4l, Apr 3, 2019. At long last a time has come to upgrade from the good old 15 R2, so I took advantage of a sale an ordered a M15 2070maxq. Only a few days late - fine. The machine would blue screen a few times on first use possibly with an external 4k monitor connected via HDMI it seemed. Everything else seems as advertised, the machine is blazing fast compared to AW 15 R2. Still optimistic at that point, I updated bios from 1.3.3 to 1.5.2 and installed all the latest drivers from Dell support site. Now it blue screens like clockwork (Video_TDR_Failure in an Nvidia driver) with external monitor attached. Tried the latest Nvidia drivers, no joy. Has anyone seen this? Any advice, or have I been had by Dell again (they had pushed a 4GB 980M rather than the 8GB ordered before - at least that machine was stable and usable!). What triggers the blue screen when you plug in the external display? Good question. It doesn't happen immediately after plugging the external monitor in. Usually (but not always) the screen would go black briefly at some point, recover, then the machine would freeze after a while. Come to think of it, the way I remember it the freezes could have been happening after a mouse click. I have a Logitech G403 connected via a KVM and a Lenovo USB-C hub. Guess I can try unplugging all that to see if it makes any difference if I just use laptop's keyboard and pad. BTW PSA and memcheck diagnostics pass. Full OS reload. Do not use the recovery partition, download a fresh 1809 installer. Search for win10 media creation tool. The system will possibly be wiped so be sure to back up all important data. If that doesn't work. Warranty RMA with dell. Vasudev and etern4l like this. Thanks, I guess that's a nuclear option worth trying but just curious what underlying issue might it resolve? Why not use the recovery partition? Any Windows activation issues I could run into that way? Just guessing that there is something wrong with your os and using the built in recovery may not fix the issue. First thing I do with any new laptop is nuke the factory os. Fresh clean OS with updated drivers from Dell and use the Nvidia driver from their website. I've been having endless issues with the factory image myself so I formatted and installed a vanilla copy of Windows 10 then installed the latest drivers as per Dell's recommended order and now everything is perfect. Vasudev, DrewN, Papusan and 1 other person like this. Thanks guys, will strongly consider this before return / RMA. Amazing walk-through Ultra! Dude, it's like you're sitting in my head. 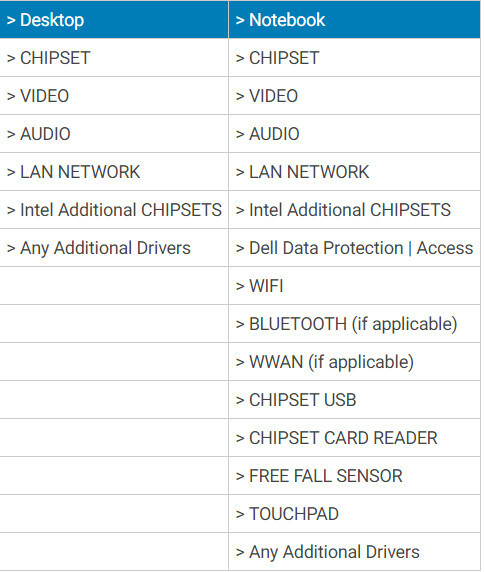 I was tearing my head apart with the Dell Factory Image, I even loaded it back again but the issue I was facing was I wasn't even able to install the Alienware Command Center. Then another format, I was able to install it but the FX tab was not selectable (like greyed out) so I couldn't change the lights. Then the next time I launched it, it gave me a message that I need to connect an Alienware keyboard before I can use it, WTF! I was about to return the laptop not for hardware issues but it really drove me nuts each time formatting, configuring all my staff and copying back all my data, then when it comes to installing the drivers, something here or there happened! I will create a Drivers thread soon for the Alienware m15 as I did steal some of the newer chipset drivers from the Area-51m and they work perfectly. Vasudev, CptXabaras and etern4l like this.